This concentrated shampoo from Show Off Time is a unique blend of ingredients which clean and conditions the hair while leaving it soft. It comes in a 16 oz. bottle. 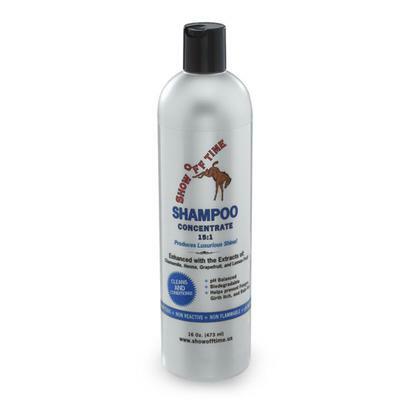 This foaming solution from Show Off Time is an all natural shampoo with conditioners. It attracks fats, soils and proteins attached to the mane, coat and tail. Easy to use, just spray on and then rinse off! Includes a color enhancer that brightens whites and other highlights. 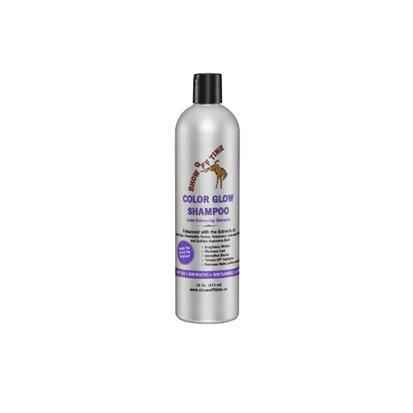 This shampoo from Show Off Time brightens and reveals colors lost in your horses tail and mane. 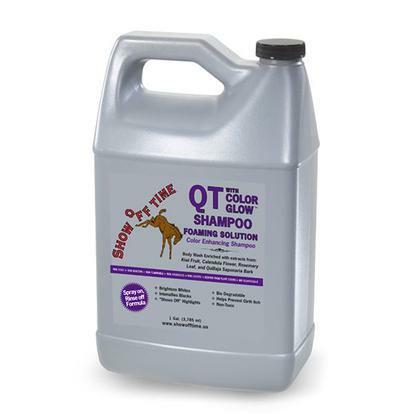 It brightens, cleans and conditions leaving your horse smooth, soft, and shining bright. This foaming solution from Show Off Time is a simple spray on and rinse off. Very fast and easy to use, no scrubbing necessary. It attracks soils, proteins and fats attached to the coat, tail and mane. 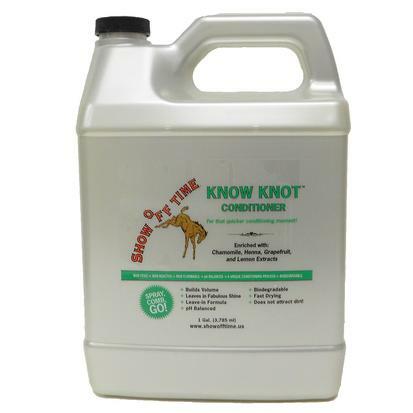 Know Knot Conditioner is a leave-in conditioner and detangler. Simply the easiest to use with amazing results! Spray on the coat, mane, or tail wet or dry. Keeps working for more than a day and gets better with continued use. You'll instantly be able to see and feel the difference! 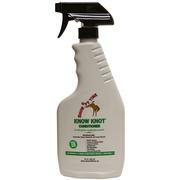 Know Knot Conditioner is a leave-in conditioner and detangler. Simply the easiest to use with amazing results! 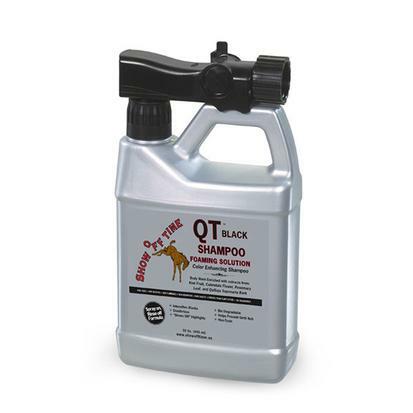 Spray on the coat, mane, or tail wet or dry. Keeps working for more than a day and gets better with continued use. You'll instantly be able to see and feel the difference.